Finally getting to the meaty end of the salt racer build. 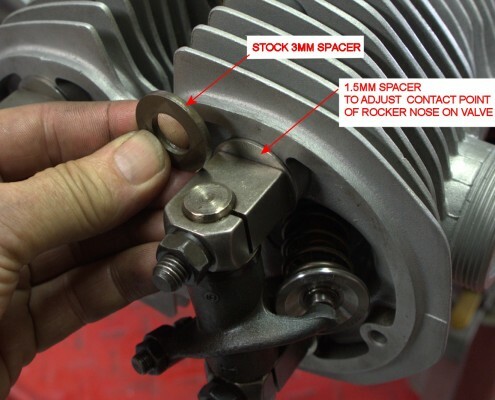 While the crank is off getting balanced with the new pistons and rods, I had a look at the rocker geometry. 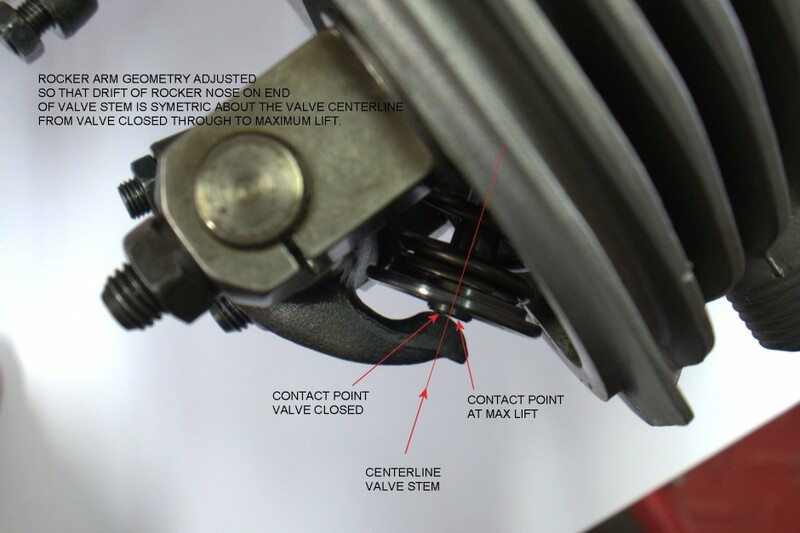 With the high lift cam (about 12mm at the valve) and recessed valve seats the geometry did not look good. 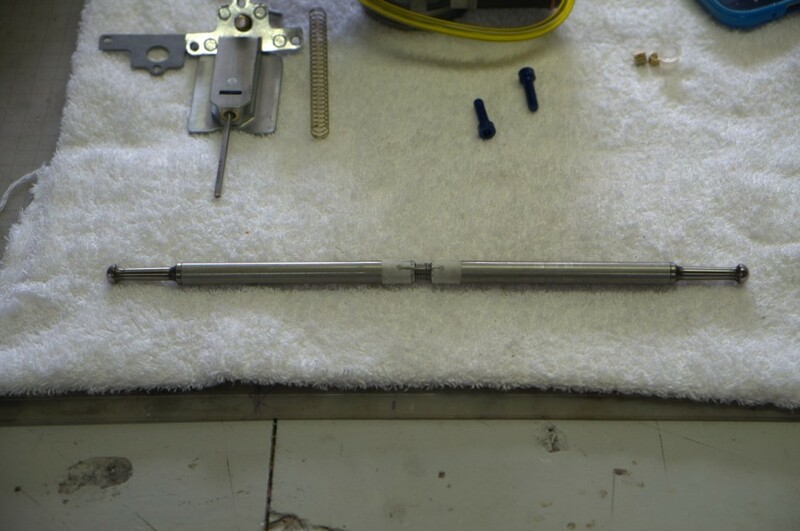 With valve fully closed, the rocker nose was close to the edge of the valve stem end and moved just past the valve stem centerline at full lift. Not the best. 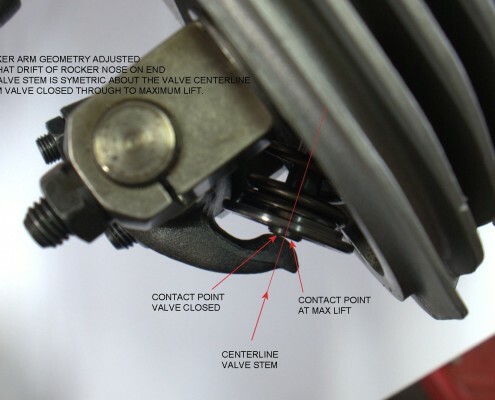 Ideally, the nose travel across the stem end should be equidistant about the valve stem certerline. The only way I could think to adjust this was to adjust the thickness of the spacers under the rocker posts. The stock item is 3mm. 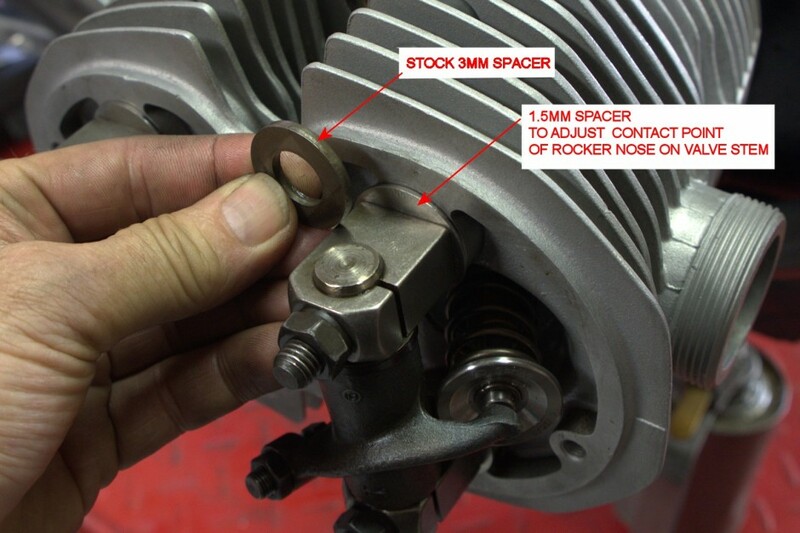 Replacing it with a 1.5mm spacer got things right as shown in the pic but only for that rocker! All the others were a bit different but acceptable with the 1.5mm spacer. 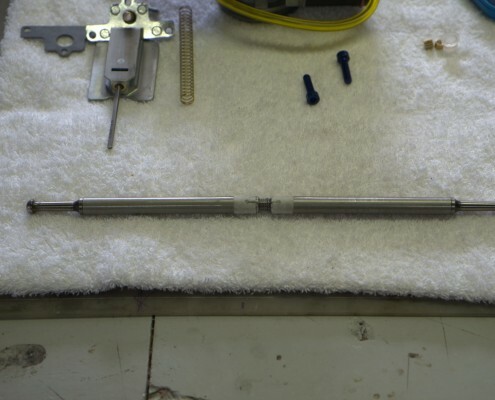 A stock pushrod was transmogrified into an adjustable one so that I could determine the correct length for the pushrods. I was going to have a shot at making my own tapered aluminium ones but just don’t have the time so it’s off to the pushrod man to have some made in 4130. 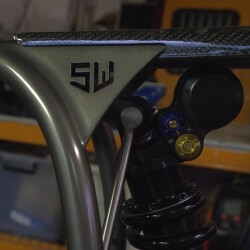 I keep looking for more information about your progress and I am really interested in the detail about those small performance increases that you search for, especially the semingly “simple” things like your rocker arm geometry “fix” , ignition/timing control and development and combustion chamber/piston shape. Stay at the edge because you guys are giving us a great view of a new landscape. Thanks Terry, it’s a fun journey delving into the black art of extracting horses from these dear old donks. Lots more to come. frame painted! – bike going back together The Salt!